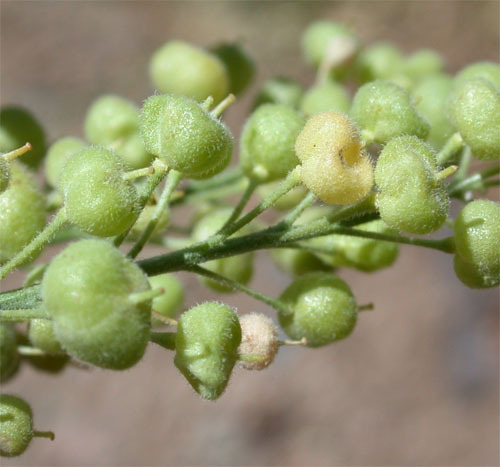 Globe-podded hoary cress, also called pepper-grass, is native to Europe and Asia. 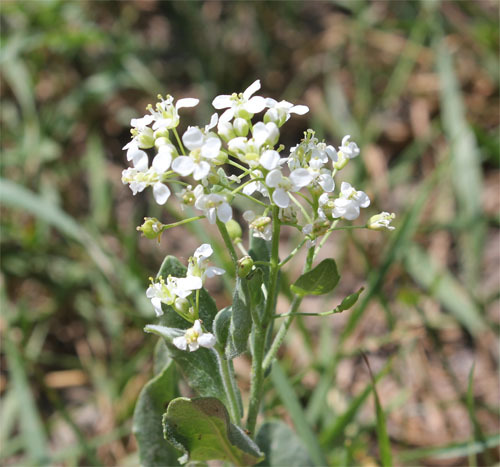 Together with the closely related lens-podded hoary cress, it was introduced to North America in the early 1900s. It was likely introduced as a contaminant of alfalfa seed or horse feed. The seeds have been used to make pepper, hence the common name of pepper-grass. 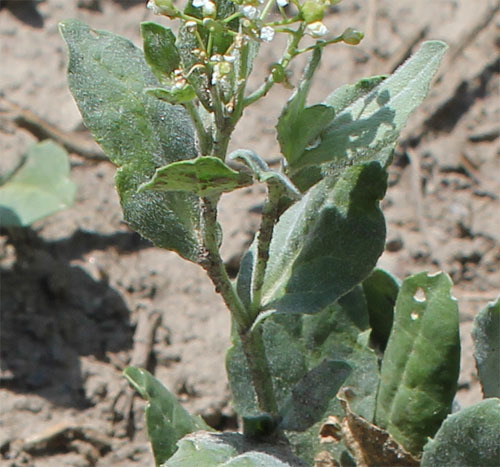 Globe-podded hoary cress can be an aggressive invader that forms dense monocultures in open grasslands and riparian areas. It also serves as a host for insect pests of crops. 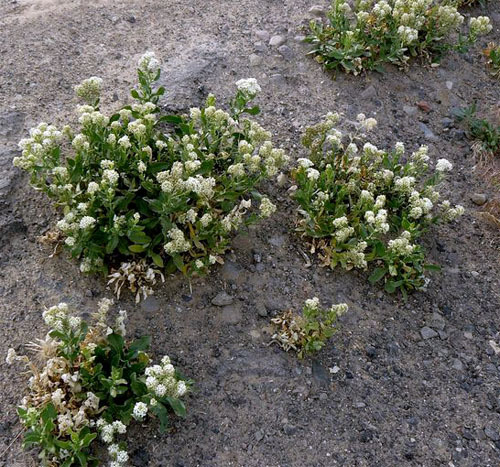 This weed has 5-8 mm wide white flowers with four petals. Numerous flowers are borne at the end of the stem in flat topped clusters. The leaves are 1-5 cm long, covered with soft hairs, grey-green or blue-green in colour, and usually clasp the stem. The leaf shape is oblong or lance-shaped and the leaf edges are toothed. A key characteristic of this weed is that is has inflated spherical fruits that are covered in short simple hairs. Stems are erect, sometimes have hairs, and grow 15-35 cm high.